The idea of needing a survival retreat or preparations for disaster (man made or otherwise) is most often considered the realm of fringe actors and conspiracy theorists. However, it should be noted that numerous high ranking educated individuals see the risks and have shared those threats within the halls of government and power. 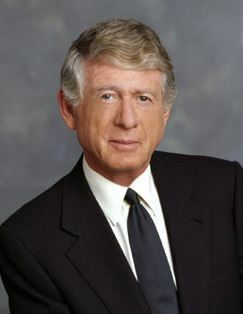 Add one more to the list: Ted Koppel. You’ll recognize his name as he was the original anchor for ABC’s Nightline, then later Managing Director of The Discovery Channel and presently a consultant to BBC World News and National Public Radio. 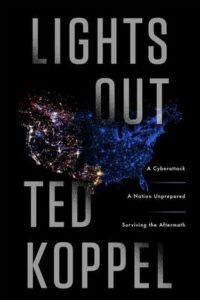 He recently published a new book titled “Lights Out: A Cyber Attack, A Nation Unprepared.” In this book, he focuses on the fragile nature of our nation’s power grid and specifically the risk of either a cyber attack or physical attack on it that could knock out power for weeks to months over large swaths of the country. On November 1, 2015, Koppel was interviewed on “CBS This Morning”. Watch the nine minute segment here. In an extensive report to Congress dated June 17, 2014 prepared on order of the Federal Energy Regulatory Commission, the Congressional Research Service issued its report on the vulnerabilities of America’s power substations. The details are frightening. With little expense and a little coordination, should terrorists physically disrupt or take out nine critical substations, the FERC report concludes that a domino effect would take place, plunging the majority of the U.S. into darkness. Worse than that, the size and complexity of the equipment involved is such that a quick fix would not be forthcoming. Replacement substation transformers (step up and step down) are not kept in warehouses waiting to be installed. They are very large, very expensive and made to order. It can take six months to a year to produce them. Until recently, they were not being made here in the U.S. Mitsubishi only began production at a plant outside Memphis in April, 2013, but if the grid goes down, how will the factory operate? Most such components are only made in China, South Korea, and Germany. If you’d like a copy of the 30 page report, let me know and I can send a PDF of the document. If you think this is hypothetical, consider what happened on April 16, 2013 in northern California. Three intruders cut six underground cables and power to a substation’s phone system. They then shot up the substation with assault rifles. In twenty minutes, they nearly put all of California into darkness. Quick reaction by engineers lessened the impact. However, the fact that three men could do such quick and serious damage shows how vulnerable the power grid is to a shutdown. Take it a step further and its not hard to imagine a coordinated effort on multiple substations that could shut down half the country. Click here to read a full article published by the Wall Street Journal on this event. 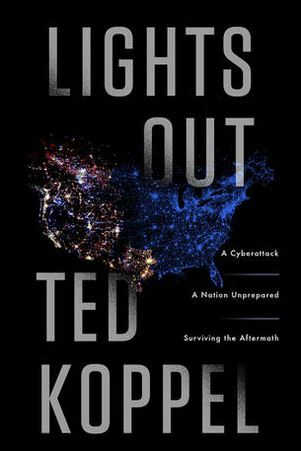 So pick up a copy of Ted Koppel’s new book and read about the risks and how to prepare for such an event. The topic is no longer a fringe movement, but is now going mainstream. That means you should start looking for a place to get away to. We at Retreat Realty stand ready to help you find the right place in the mountains of western North Carolina. Not only that, we and our strategic partners have the expertise to assist you in the full planning for disaster preparedness including shelter, food storage, security and other important factors.